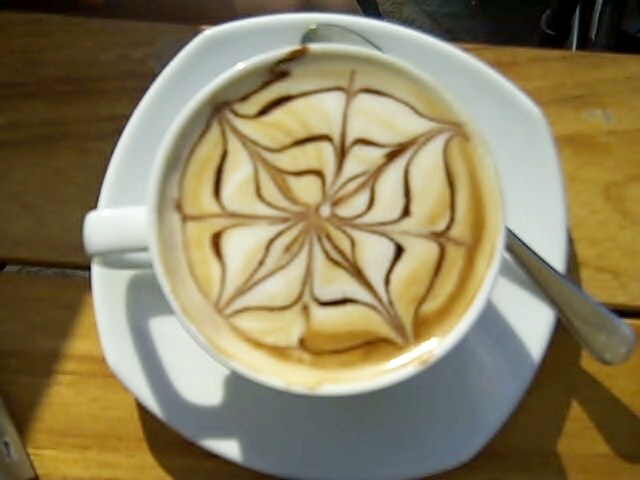 The local café puts a chocolate design on your cappuccino. I’ve been to Café Journal throughout the year and chocolate was never a condiment. In fact, I normally don’t like chocolate as a topping on my coffee, but this time it was syrup instead of a powder, which I admit was pretty delicious. And, the designs are fantastic! Unfortunately, having breakfast at 8:30 am is already too late for a summer morning in Pesaro. We were sweating in the shade. My resolution? Be out the door by 7 am tomorrow and hit the beach. 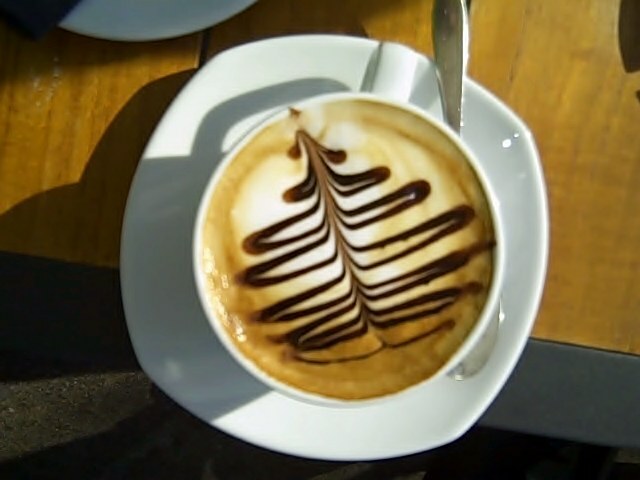 This entry was posted in cappuccinos, coffee and tagged beach, cappuccinos, Pesaro. Bookmark the permalink. I am sitting through a dreadfully boring four day training – currently only on day 3 – and that coffee looks amazing. I almost wish I hadn’t read this! Now I’m dreaming about being in Italy, not sitting in a high rise in downtown Manhattan chained to a computer. the chocolate designs look so pretty!